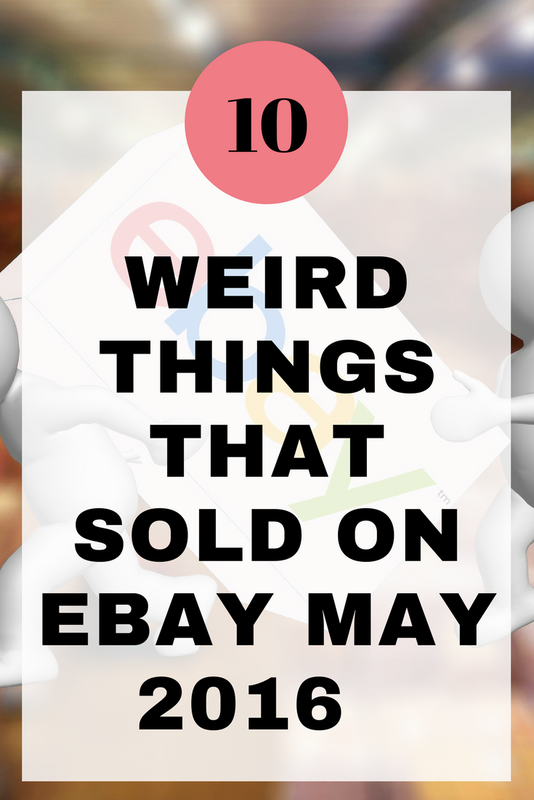 Whenever I need some motivation to list my items for sale on eBay, I look for weird things that have sold on eBay recently. 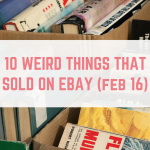 There have been some great finds this month and I cannot wait to share 10 weird things that sold on eBay this month. Let's crack on and see what weird sales were to be found this month. Gift vouchers selling on eBay is nothing new, however, it is weird that this £25 voucher sold for £24.99, saving the buyer just 1p! I am all for saving money! This retro walkman/cassette player sold for £19.97. Crazy cat lady alert, how cool is this cat finger puppet set? 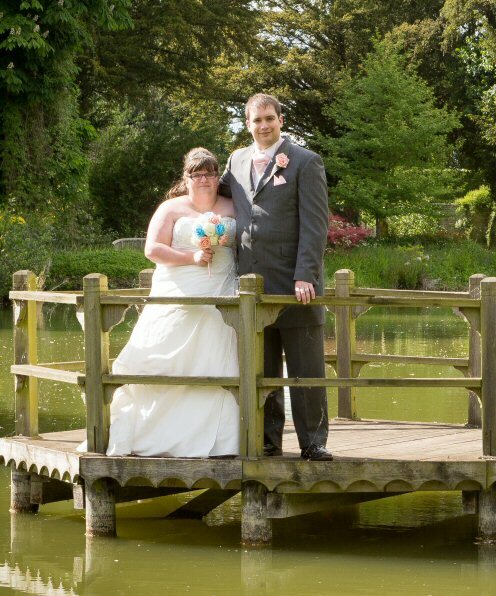 Oh it isn't….unless you're a crazy cay lady! Weird as it may be, it sold for £6.49. This empty iPad box sold for £7.50 plus another £3.30 postage. These empty MAC boxes and bag sold for £3.21 plus another £3.30 for postage. These would probably just be recycled by the seller, so I love that they have managed to make some extra money! You should check out what your empty beauty products are worth. Trashed shoes always sell well on eBay, and this pair went for £30 plus £3.50 postage. 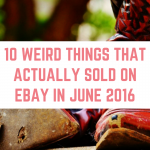 If you're interested in selling your smelly shoes on eBay then check out my guide. These smelly, worn socks sold for £9.50 plus postage on top! This Kate Spade damaged sunglasses case sold for £8 plus £3.30 postage. This video player sold for a massive £35 plus £9.59 postage! My Dad has a few video players that he was going to chuck out, and I am definitely going to stop procrastinating and get them listed ASAP! 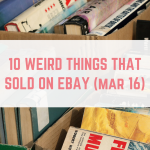 If this post has inspired you to get your weird and wonderful items listed on eBay, you get 20 free listings a month. 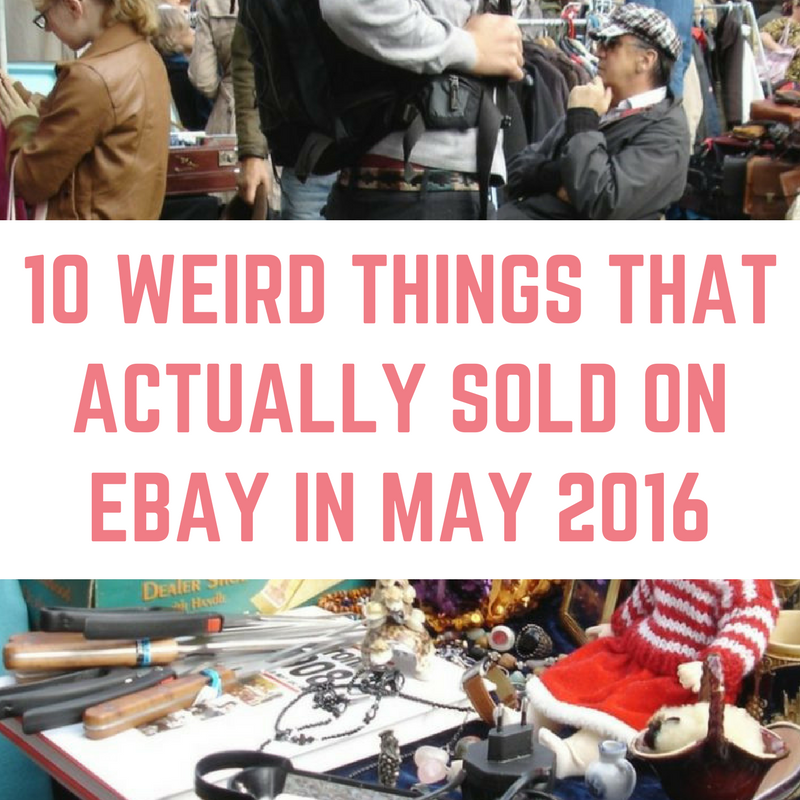 If you try to sell something weird or unusual then let me know how it goes. If you have enjoyed this post then please be sure to share it. 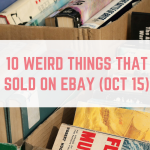 Don’t forget to check out my previous round ups of weird eBay sales. I look forward to this every month! I can understand the emply Mac boxes selling. I expect that the buyers are folk who need to return their Mac items for repair etc and the T&Cs insist on them being returned in “origianal packaging”. The buyer probably had a clear-out and re-cycled their original box. Now where did I put that bright green and yellow walkman? It’s in danger of being listed! OHHHH that makes sense! I’ve seen phone boxes selling for a lot too! Thanks! Argh took 3 video players to be recycled just the other week! I shouldn’t have assumed nobody would want them anymore.